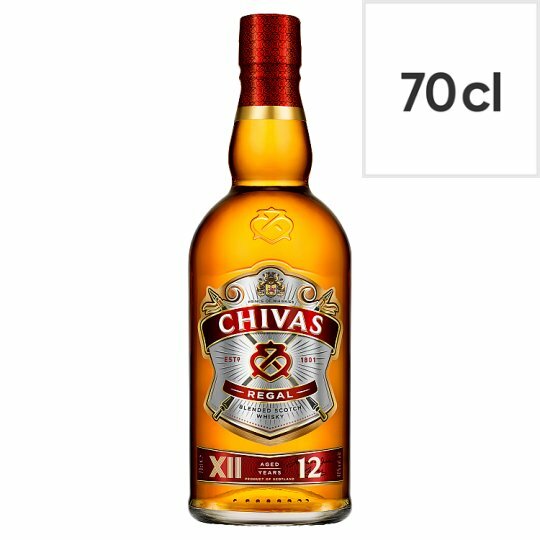 Chivas 12 Year Old is a multi-award winning blended scotch whisky, an artful blend of many different malt and grain scotch whiskies, matured for at least 12 years. This rich, smooth whisky balances style with substance and tradition, delivering blockbuster taste notes from luxurious honey and vanilla to ripe apple. Sold with its signature gift box, making this the perfect whisky to celebrate a special occasion. Serving suggestion: Enjoy served with ice and soda in a highball glass. 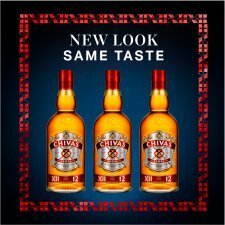 Chivas, the original luxury blended scotch whisky, brings together the best malt and grain whiskies. Each component is special, but blended together they create something extraordinary. Every Chivas Regal whisky has its own unique formula and selection of many aged whiskies, giving them their own distinct character, flavour and taste experience. Chivas' belief in blending was instilled by founding brothers, James and John Chivas, who pioneered the art of blending in 19th Century Scotland. 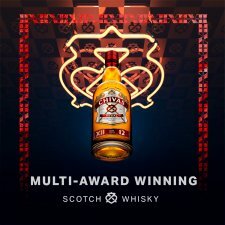 Chivas believes that blended is better, in life and in Scotch. Colour: Radiant, warm amber. Nose: An aromatic infusion of wild herbs, heather, honey and orchard fruits. 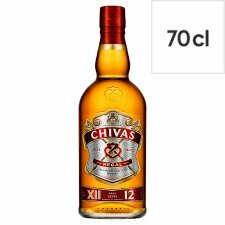 Taste: Rich and fruity, Chivas bursts with the smooth taste of ripe, honeyed apples, and notes of vanilla, hazelnut and butterscotch. Finish: Enjoy the generous, lingering finish.